How Colorful Was Life in Medieval England? Walk down any street, look at any magazine, or flip on your TV and you’ll be dazzled by a multitude of brightly lit colors. You almost can’t escape it, but why would you want to. Such amazing colors help our senses pop with delight. Yet, when most people think of medieval times, they think of peasants mucking around in the mud. They think of a world composed of drab colors–brown and grey–a world absent of color. This couldn’t be further from the truth. Just like today, people during the dark ages enjoyed bright and shiny things. 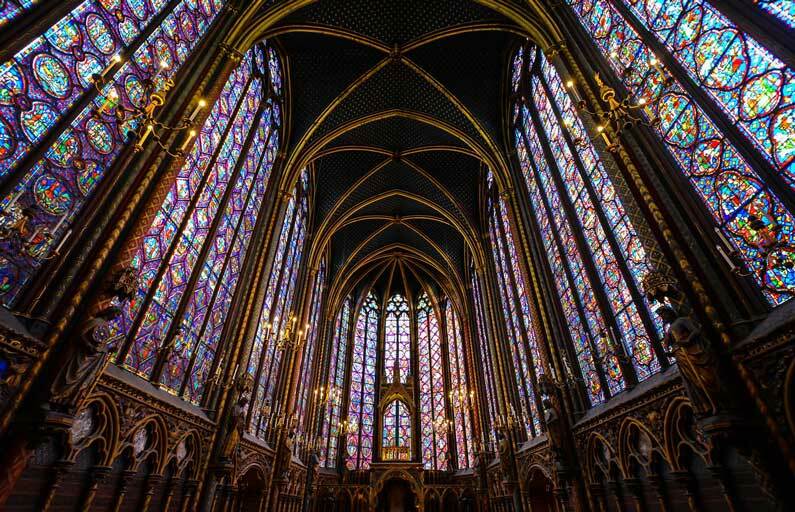 From stain glass windows, clothing, jewelry, paintings, draperies, to painted walls–medieval times were, in fact, a richly colored world to live in. It may be difficult at times to imagine how colorful life would have been for our distant relations. Not much remains of those times as paint and dyes fade over time. But visit you local museum or open up an art book and you discover a vast palate of colors that were used. So you’ve got your assignment for the weekend . . . enjoy a cultural revival to enliven your senses. One of my favorite brightly colored treasures from medieval England are the Unicorn Tapestries at the Cloisters. Check it out! If you discover a colorful medieval treasure, please share with your fellow viewers.